John Jacob Astor: Business Man. Cambridge, MA: Harvard University Press, 1931. 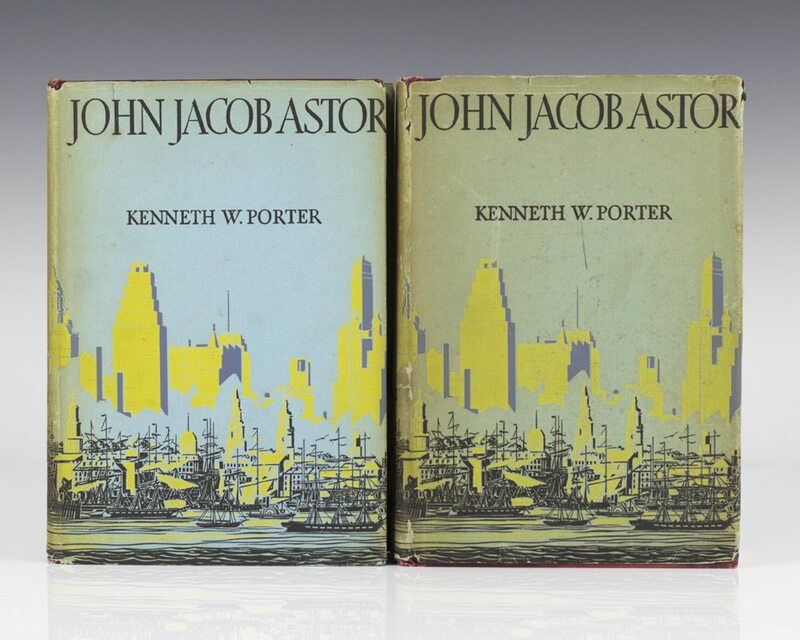 First editions of this biography on the businessman John Jacob Astor. Octavo, 2 volumes, original cloth. Both volumes are near fine in very good to near fine dust jackets. John Jacob Astor, Business Man is a comprehensive biography of one of the United States first truly successful businessmen. Astor was a runner in the 1820s business world establishing him-self in ventures ranging from fur trade to the NY stock exchange. The book conjoins with a series of Harvard Studies in Business History and is based on extensive research done by Porter and his Harvard Associates. John Jacob Astor is now considered a classic in business history.